Summer is the perfect time to throw a rustic birthday party or get together. You may even have a lot of great decorations on hand. So many cute options on Etsy – I love the edible butterflies they would be so pretty on cupcakes! 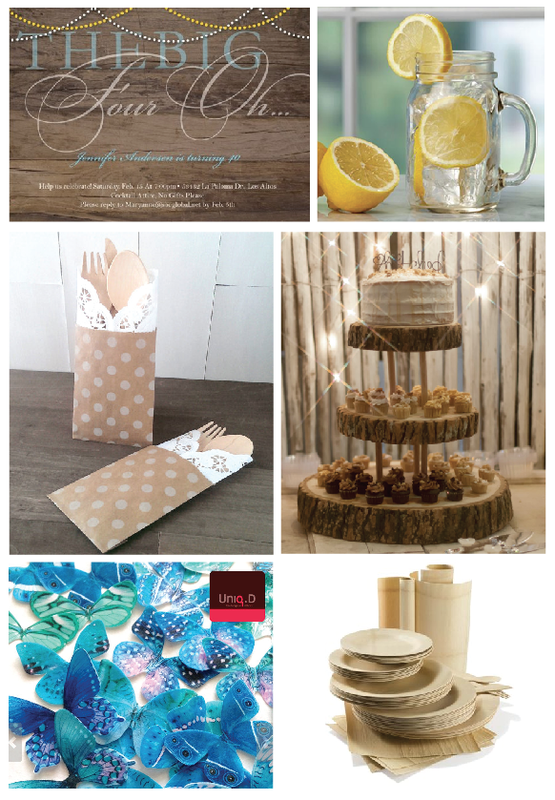 And the tiered log cupcake holder and wooden utensils are perfect for an outdoor party. Also add lots of fresh flowers in mason jars. If the party goes into the evening make sure to have a fire pit going with smores ingredients.